The birthplace of Wolfgang Amadeus Mozart, Salzburg is a baroque jewel of a town. The town has not changed much since Mozart lived in it 250 years ago. It is a beautiful town framed by mountains, crowned by the Hohensalzburg Fortress and divided by the fast flowing Salzach River. 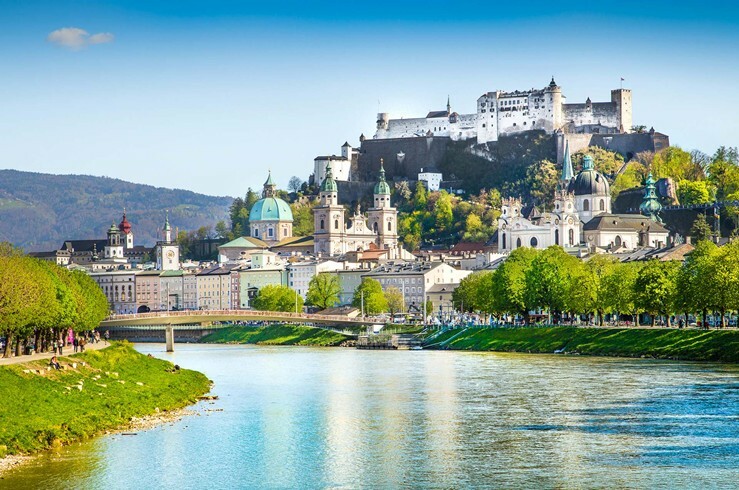 Salzburg has plenty of concert halls that play wonderful music all year round, a charming old town, baroque churches, one of Europe’s largest medieval fortresses, Hohensalzburg Fortress, and so many great places nearby, it keeps visitor’s happy!